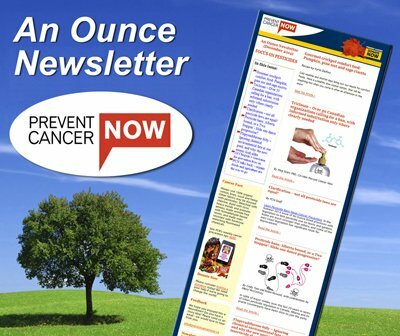 Prevent Cancer Now » Please take 2 minutes and complete our readship survey! Please take two minutes and complete the following survey. We want to make An Ounce the best it can be – so your participation would be greatly appreciated! Your participation gives you a chance to win a copy of “Cancer: 101 Solutions to a Preventable Epidemic”.